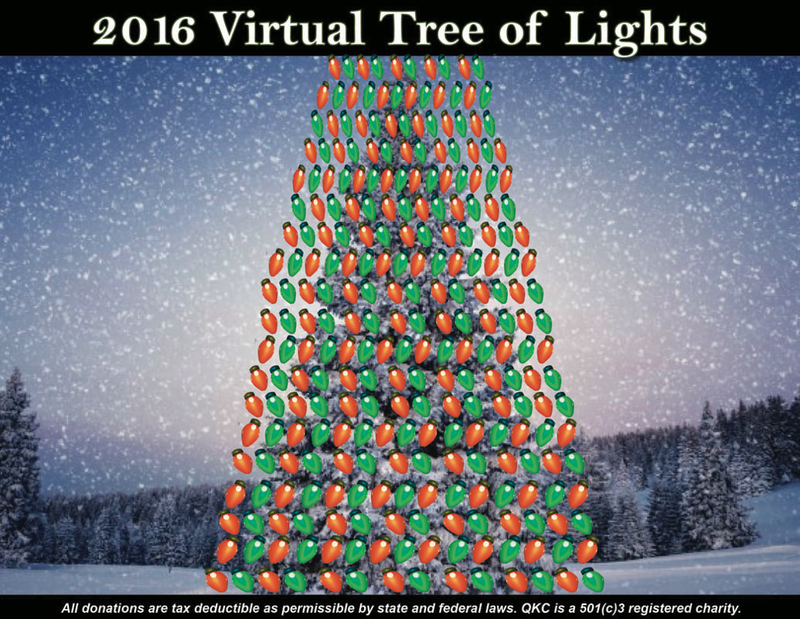 We send a huge THANK YOU to our 2016 Tree of Lights Donors!! A very heartfelt THANK YOU to our contributors: Robert Kashmer, Jim & Ann Palmer, Lecia Conroy "In memory of Pearl", Marlene Beeler "This is for Anne Heckle and all the fantastic work she does for the Quincy dog rescue", Margaret Burke, Nancy McAdam, Carol Boyer, Nicole Drake "For Shiloh, Beasley, Rufus & Layla", Cheryl Drake, Valerie Hiley, Diane Lanier "In honor of Anne Heckle, you are amazing! ", Teresa Connors, Lisa Hanisch "Happy Holidays for Dylan the tripod! Rescued September 2009", Donna Evans, Nancy Hunter, Francine Cannarozzi "In honor of Sigh (Shiloh) and Forrest, who are both Quincy dogs", Tammy Lyons, Elizabeth Webster, Sandra Ruby, Virginia Procuniar "To honor Anne Heckle", Nancy Hunter, Troy Ulry, Robert Mareing, Midwest Border Collie Rescue Inc, Briana Graham, Carolyn Stevenson, Janet Monke, Erika Wade in honor of her family Robert and Lee Ann Kashmer, Ellen Emery, Patti Grijalva, David Currier, Susan Styler "In honor of all our beloved cats from Plainville that Anne helped us find homes for!"